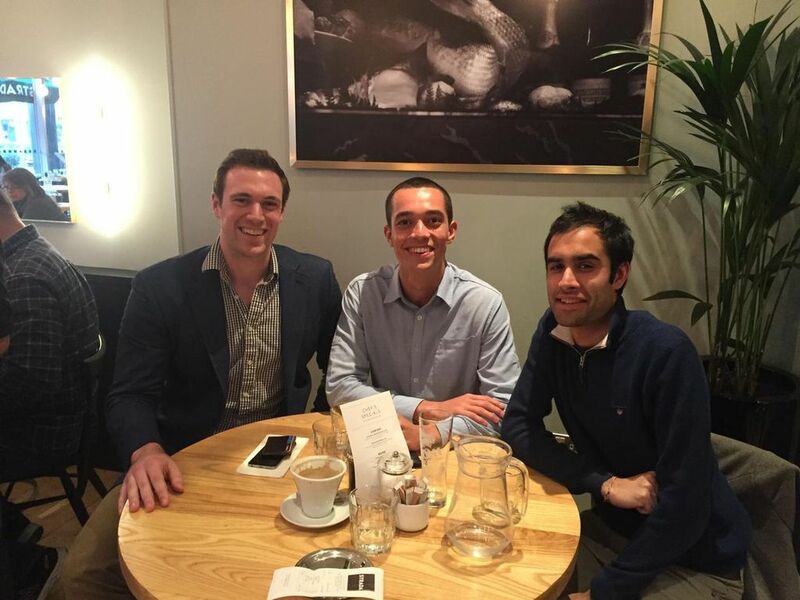 Latest Deals was created when Tom Kelsey, Tom Church and Deepak Tailor sat at Strada late one evening and talked deals and discounts. It was the first time we met. Kelsey was the founder of Pedlar, a deal sharing site, Deepak was the founder of Latest Free Stuff, a freebie site, and I, your humble writer, was just that, author of Money's Big Secret. The love of deals, discounts, voucher codes, coupons, competitions and freebies brought us together. We were, and are, obsessed. Kelsey is a tech whizz from Oxford who now lives in Bristol. His mission in life is to find all the world's latest deals and discounts and automatically apply them when you buy things. The dream! Deepak, on the right here with Jack of Approved Food, is the founder of Latest Free Stuff. He is the king of all things freebies. Deepak also has a spidey-sense for extreme deals, discounts and voucher codes. At 2am, on a Sunday, at the top of a mountain, in the Himalayas, standing on one leg, asleep, feeding birds, reading from Hindu scriptures, holding the sky, Deepak will find and post a price glitch. Some say he is the chosen one. When we came together we shared the same visions and goals: to create a real and authentic community of deal hunters. To reward members. To make it fair, fun and positive. To help people save money. Thank you for being a part of our merry band of deal and discount sharers.